Los Angeles (CNN) -- The Los Angeles County Sheriff's Office is reopening its investigation into the death of movie star Natalie Wood, who drowned in 1981 while boating off Catalina Island near the California coast, authorities said Thursday. Homicide investigators are taking a new look at one of Hollywood's most enduring mysteries after they were contacted by people who claimed they had "additional information" about the drowning, the sheriff's department said in a statement. Authorities didn't provide further details late Thursday and said a news conference on the matter will be held Friday at 11 a.m. (2 p.m. ET). Last year, the actress' sister, Lana Wood, and the captain of the yacht on which Wood sailed with her husband, actor Robert Wagner, had asked the sheriff's office to reopen the case. On Thursday, L.A. County Sheriff's Deputy Benjamin Grubb couldn't say whether the sister and the yacht captain have prompted the renewed investigation. "I don't know if that's related, but that's what the press conference is about tomorrow," Grubb told CNN. Natalie Wood once said in a televised interview that her greatest fear was of dark seawater. On November 29, 1981, she drowned in the Pacific Ocean off the isthmus of Catalina Island. The autopsy report shows Wood had two dozen bruises on her body, including a facial abrasion on her left cheek, and bruises on her arms. 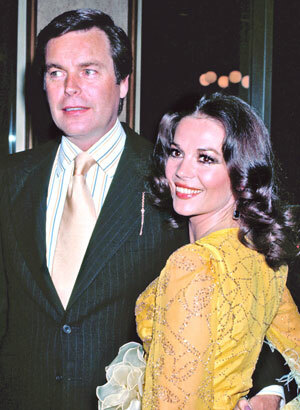 In 2010, Lana Wood told CNN she believes a highly charged argument between her sister and husband on the yacht's back deck preceded Wood's drowning. She told CNN last year she does not suspect foul play. "I just want the truth to come out, the real story," she said last year. Dennis Davern, the former captain of the yacht Splendour broke his long silence with a detailed account in "Goodbye Natalie, Goodbye Splendour," a book he wrote with his friend Marti Rulli. It was published in September 2009. Davern has said he believes Wood's death was a direct result of the fight with Wagner. Lana Wood and Davern couldn't be reached immediately for comment Thursday. Wagner's publicist Alan Nierob issued a statement saying the actor's family "fully support the efforts of the LA County Sheriff's Dept. and trust they will evaluate whether any new information relating to the death of Natalie Wood Wagner is valid, and that it comes from a credible source or sources other than those simply trying to profit from the 30 year anniversary of her tragic death." Nierob said no one from the sheriff's department has contacted Wagner or anyone in his family about the case. In a lengthy interview with CNN in 2010, Davern said he now believes the investigation of Wood's death was incompetent and suggested there was a cover-up. He said he regrets misleading investigators by keeping quiet at Wagner's request. Wood and Wagner married in 1957, divorced in 1962, then remarried in 1972. They often sailed their yacht off the coast of California and they invited Wood's "Brainstorm" co-star, Christopher Walken, to join them on a sail on Thanksgiving weekend in 1981. Walken and Wood had been filming "Brainstorm" at the time and the Hollywood rumor mill was abuzz with speculation that Wagner was jealous over Walken, but authorities have said Walken witnessed only the events leading up to an argument between the couple. Walken couldn't be reached immediately for comment Thursday. Wagner admitted his jealousy in his book "Pieces of My Heart," also published in September 2009. He acknowledged that there had been a fight with Wood, writing that he smashed a wine bottle on a table. After Wagner argued with Walken and broke the wine bottle, Wood left in disgust and went to her stateroom, Davern told CNN last year. Walken also retired to a guest room, Davern added, and Wagner followed his wife to their room. A few minutes later, Davern said, he could hear the couple fighting. Embarrassed, Davern said he turned up the volume on his stereo. At one point, Davern recalled, he glanced out of the pilot house window and saw both Wagner and Wood on the yacht's aft deck. "They'd moved their fight outside ... you could tell from their animated gestures they were still arguing," he said. A short time later, Wagner, appearing to be distraught, told Davern he couldn't find Wood. Davern searched the boat but couldn't find her. He noticed the rubber dinghy also was missing. Wagner's story, as told in his book, differs from Davern's. He maintains that after the argument with Walken, Wood went to her room and prepared for bed while he and Walken sat on the deck, cooling off. Wagner writes that he went to check on Wood, but she wasn't there. He maintains that he and Davern searched the boat and noticed the dinghy was missing. Wagner wrote that he assumed his wife had gone ashore on her own. He radioed the restaurant on shore where they'd had dinner and called the harbor master to see if anyone had seen Wood. The dinghy was found about a mile away from the yacht, and a mile from where Wood's body was found. Wood's first starring role was as a child in "Miracle on 34th Street" in 1947, and she played alongside some of Hollywood's top leading men -- James Dean in "Rebel Without a Cause" and Warren Beatty in "Splendor in the Grass." She was nominated for Oscars in both of those films, as well as for "Love With the Proper Stranger" (1963), according to IMDb. One of her more memorable roles was as Maria in "West Side Story." Wagner's striking good looks landed him roles in dozens of films in the 1950s and '60s before he hit it big in television. He starred in two popular series, "It Takes a Thief" (1968-70) and "Hart to Hart" (1979-84), and more recently as Number Two in the "Austin Powers" spy spoofs.